Launched in 2005 and founded by Directors, Helen Doyle and Danny Waine, Perfect Weddings Abroad began life as a travel agency specialising in weddings and honeymoons, for couples living in and around Burntwood, Staffordshire. Perfect Weddings and Honeymoons, as it was originally known, operated from a small shop on a quiet high street selling weddings through a handful of UK tour operators. Keen to offer a more personalised service, Helen and Danny sought to develop their own network of overseas wedding coordinators and unique Perfect Weddings Abroad Wedding Packages. Over time they built up an extensive network of professional wedding coordinators worldwide who shared their passion for weddings, romantic travel and most of all offering a personalised and specialist service to couples getting married abroad. Over the years the company has developed into an online business and almost all of the bookings are generated via the PerfectWeddingsAbroad.co.uk website, as well as growing its network of nationwide weddings abroad specialists and most recently moving to its new and larger Lichfield head office. 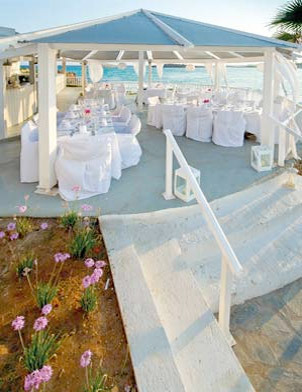 In June 2012 Perfect Weddings Abroad became part of the Destination Weddings Travel Group. President and CEO of the Destination Weddings Travel Group, Richard Calvert became Chairman of Perfect Weddings Abroad in the UK. DestinationWeddings.com provides full-service destination wedding planning for couples across the globe. Destination weddings are different from typical weddings and honeymoons and therefore require the planning of an experienced travel agent or Certified Destination Wedding Specialist. Combining the personal service and expertise of more than 175 Certified Destination Wedding Specialists with the technology of its informative and easy-to-use website, DestinationWeddings.com is the worldwide leader in producing destination weddings that ensure couples experience carefree celebrations that exceed their dreams and desires. In addition to its planning services, DestinationWeddings.com offers complimentary wedding websites, which serve as interactive communities and guides for couples and guests. As the recognized leader in the industry with resort partners in 42 countries around the world, DestinationWeddings.com has helped to plan more than 13,000 successful destination weddings and travel for more than 500,000 attending guests. As we look to the future and see that the weddings abroad market is continuing to grow. We are currently expanding our UK-based team of weddings abroad specialists, both in our Lichfield Head Office and our team of weddings abroad specialists nationwide, so if you know of anyone who would like to join a successful and growing niche travel company why not pass on our company information! At Perfect Weddings Abroad we pride ourselves on innovation and we will continue to introduce new ideas and products going forward, not only to help the company grow, but to make it a more seamless experience for our bride's and groom's getting married abroad.